Crystal was born in Dillon, Montana. Besides a brief two year stint in Jerome, Idaho, she has lived in Montana all of her life. She attended the University of Montana, and received a BA in English with an emphasis in Creative Writing, and a minor in Sociology. She received an associates in Paralegal Studies in 2009. She writes Simply Playful Fare, a food blog that publishes recipes and "how to" articles weekly. Crystal has always wanted to be a writer. She began writing poetry in high school, and short stories in college. 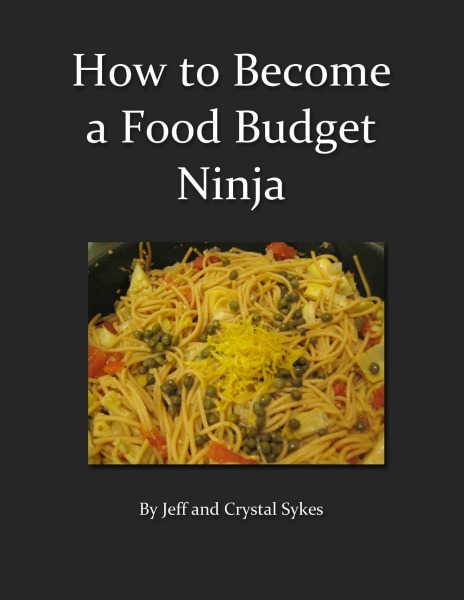 This guide will show you how easy it is to budget your monthly grocery expenses while entertaining you with a little humor along the way. Say goodbye to the days of wasting food and wasting money with these money saving tips! While it may seem that being prepared requires a tremendous amount of time and energy, you really have nothing to fear. This guide will give you the knowledge you need to save both energy and time, while saving you money. This guide provides the tools you need to succeed. Get the most out of your pantry and fridge by making them work for you! Alleviate headache and frustration at the grocery store by creating a weekly menu to save you time and money! Choose from two helpful weekly menu templates to fit your style! Save time every day with our simple method of planning ahead. Learn how to use the price comparison method to choose the best deal. Write a grocery list to keep you on track at the grocery store. Money management is made easier with our budgeting tips.